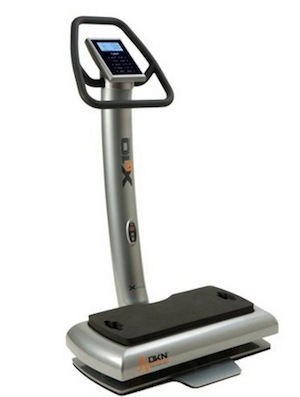 High-frequency, low-amplitude whole-body vibration (WBV) platforms have become popular in recent years to aid in weight loss, build muscle strength, alleviate back pain, and ease the aches of injury, osteoporosis, and arthritis. They seem to be the ideal solution for people who can’t or don’t like to exercise at home and in health clubs, for athletes, and people in physical rehabilitation for a host of ills but the findings of a study from the University of Western Ontario (UWO) urges caution. Seems these “no work” workouts might not be so good for the joints. Researchers at UWO knew previous studies document the benefit of whole-body vibration platforms on bone and muscle strength. They expected to confirm benefits of this form of passive exercise on joint health, too. Cheryle Séguin led the study from her laboratory in the department of physiology and pharmacology at OWU’s Schulich School of Medicine & Dentistry in London, Ontario, Canada. Hers was a pre-clinical study, using lab mice instead of people, but its findings suggest similar outcomes in humans. Of particular interest was WBV’s effect on the spine and knees, even after short-term use. The mice were subjected to WBV for 30 minutes a day, five days a week, for four weeks, a regimen that Séguin likens to a course of treatment commonly prescribed for humans undergoing WBV for medical reasons. After the vibration therapy period, joint tissue from the skeletal systems of the mice were tested using various protocols: micro-computed tomography, histology, immunohistochemistry, and gene expression. Séguin’s research team discovered degeneration in the annulus fibrosus, an area in each spinal vertebra that surrounds the nucleus pulposus, the jelly-like shock-absorbing portion of the vertebra that cushions each segment of the spine. Collagen health had deteriorated faster than normal and the rate of cell death had increased. Expression for the gene Mmp3 was found to be greater than normal, a condition that leads to accelerated degeneration of collagen and aggrecan, a protein necessary for cartilage health and joint function. Knee tissue revealed tears in the meniscus of the knee and damage to knee cartilage similar to that seen in patients with osteoarthritis. Gene expression was found to be altered in the knee, too, affecting the Mmp13 gene which governs knee cartilage health. No changes, however, were found in the density or microstructure of the upper end of the tibia, the larger bone in the lower leg. Although the OWU study involved mice, it does suggest the need to study WBV’s effects on human joints in future study. Meanwhile, the research team suggests using these exercise machines with caution. Séguin, Cheryle A, et al. "Repeated exposure to high-frequency low-amplitude vibration induces degeneration of murine intervertebral discs and knee joints." Arthritis & Rheumatology (2015). Wiley Online Library. Web. 11 May 2015. "Healthy Joints Matter." NIH / National Institute of Arthritis and Musculoskeletal and Skin Diseases. US Department of Health and Human Services, n.d. Web. 11 May 2015.